This week Iron Craft was all about wrapping gifts, ’tis the season right? I tend not to get very creative with my wrapping paper, I just buy the nicest I can find on sale after Christmas, but I do like to decorate my packages with ornaments. 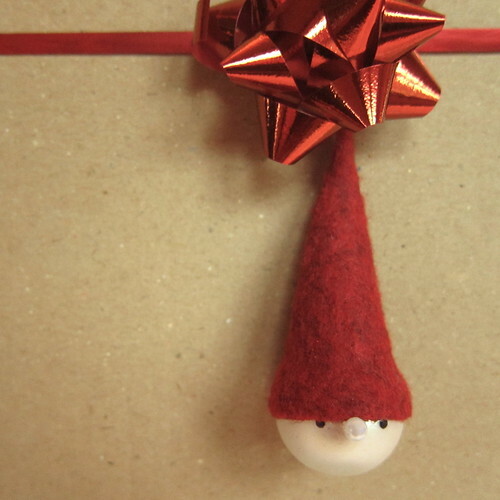 They can be used as the gift tag and are also a little bonus gift. If I can make the ornaments all the better. 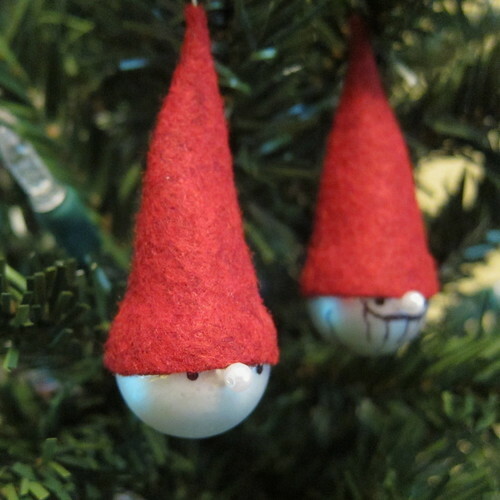 For this challenge, I came up with these little gnome ornaments made from some scrap felt and small Christmas balls. These could not be simpler to make and they turned out sweeter than I had imagined. 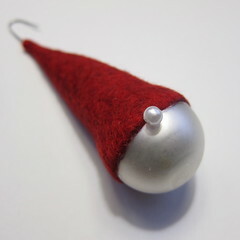 Tie them on a gift or just hang them from your tree. If you want to use them as a gift tag, write the receivers name on the back with a thin tip sharpie. 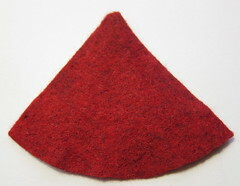 Cut a triangle from the red felt that is all over twice the height of the ball. 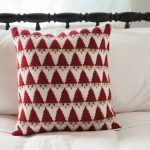 The bottom of the triangle should be round and fit snuggly around the middle of the ball. 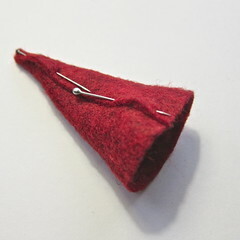 When folded the triangle will make a pointy hat the fits on the ball. You can either glue or sew the hat together. I chose to whip stitch it. Leave a little hole at the top of the hat to put the hanger through. Glue the hat to the ball. 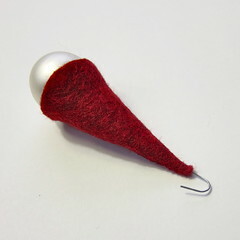 Glue the pearl bead just under the brim of the hat for a nose. 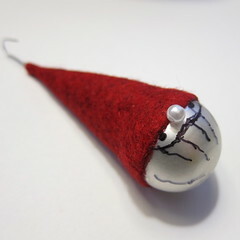 At this point you can leave the ornament the way it is or use a sharpie to add eyes or draw in a beard and moustache. I think I like them best with just eyes. 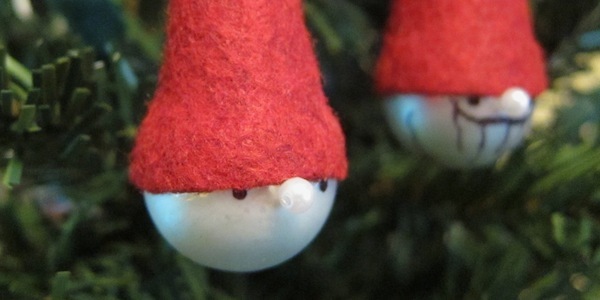 If you make any gnome ornaments we’d love to see them on our Flickr group. 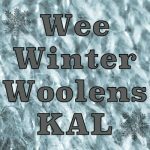 7 years ago by Kat in Challenges , Christmas , Craft Projects , Crafts , Holiday , Iron Craft , Projects | You can follow any responses to this entry through the RSS feed. You can leave a response, or trackback from your own site. That’s so far beyond adorable that I don’t have a word to describe it. I love it! They look like they were made with old pop beads, which would be even easier and a good use of stray pop beads. 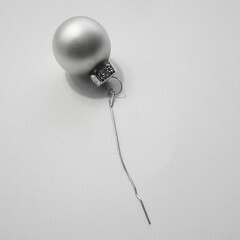 Amanda – A pop bead would probably work though I think they are even smaller than the Christmas ball I used.